We’ve lived the first week of new timetables across the rail network, so how’s that going for the industry? Not as well as we might have expected. 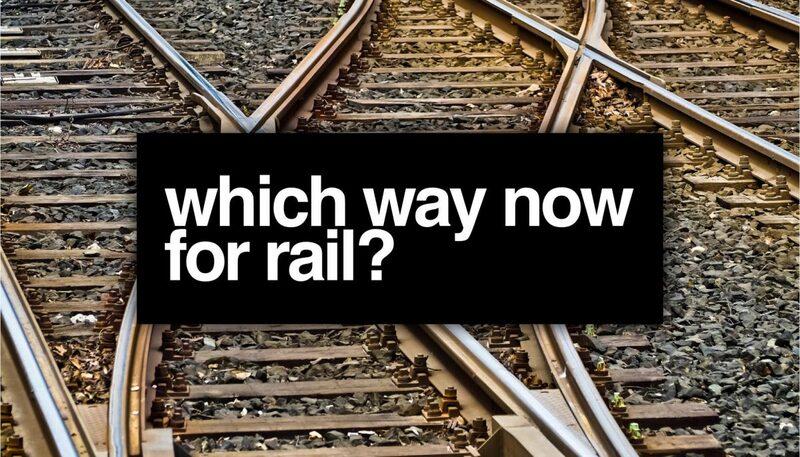 But before we poke GTR (an A2B Excellence client) with a stick, let’s remember that the rail industry is stuck between a rock and a hard place when it comes to customer relations. Sometimes it doesn’t do itself any favours; on the other hand, sometimes it can’t win. Of course there were problems on the first day. After all, this was the biggest shake-up in timetables for two decades. The TOCs must also note the gaping chasm which always happens in technically demanding businesses (see airlines, too); by which customers – quite rightly – don’t fully understand the complexity of delivering the service, nor indeed the benefit they might be receiving. So the massive points upgrade at London Bridge will be completely invisible to 99% of users, whereas they most certainly will notice that their journey times have become longer because of increased stop-times at stations – which is why we continue to hear that trains are slower now than they were a century ago. Customers also don’t understand the delicate dance between TOCs and Network Rail; or the byzantine complexities of the franchise system– but they do know that it’s arcane, constructed by consultancies they don’t trust, allows international state operators to take a slice of UK value, encourages opacity and prevents them from getting the best value ticket or decent service for anything but the simplest journey. Not a great place to start from. The point is that if we want customers to be tolerant of the challenges they don’t understand (like franchising, timetable changes), then we need to deliver exceptional performance and service on the challenges they patently do understand (value, communication, ticketing). In a world of smartphones and 24/7 connectivity, it is nothing short of ludicrous, for example, that the best-value fare should not be available from every ticket machine in the land. What the travelling customer rarely appreciates is that the profits ‘creamed off’ by TOCs are only around 3-4p in the pound – and the long-term risk in infrastructure required to run a railway is huge; whether NR takes some of the pressure or not. There is therefore not a lot room, financially, in which to innovate on technology – particularly across the relatively arbitrary length of a franchise, which might make such innovations moot anyway. Both of these may feel impossible. They certainly do to customers at the moment! But leaders in the industry have a greater range of strategic, technological and management options at their disposal than ever before. Digital transformation is evolving real new opportunities for customer engagement, and methodologies like Visual Management and Lean Breakthrough mean leaders can do more with the data they uncover and reach more teams on infrastructure projects or in the delivery of day-to-day rail services. This matters, because evolution of our industry is non-negotiable. The status quo is simply not sustainable – no industry can sit on its laurels. Uber, for example, is already working on personal, drone-style air transport (and it’s not a pipe-dream: as well as working with aviation partners, the company is already engaging with regulators to establish the ongoing rules of the air for this emerging industry, and test flights are expected between 2020 and 2023). Insiders know how hard it is to run a railway. But that’s no longer good enough. We need to meet and exceed customer expectations, and world-class service is going to be the only way to do it. There is a well-defined niche for rail (commuting, middle-distance travel and, despite its weakness in the UK, freight); but we will only survive by moving with customer demand. It’s time to put employee and customer engagement at the heart of what it means to run a railway; to forget all the reasons why we think we can’t do anything better, and work out how we can.